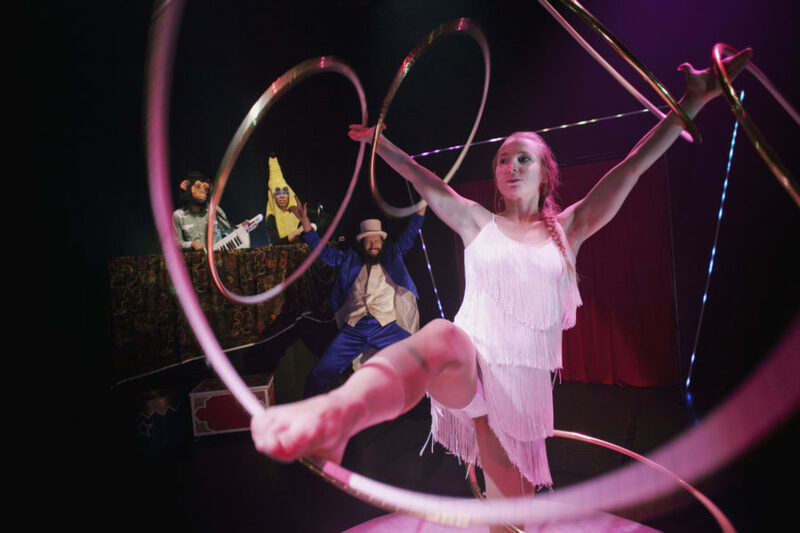 Around is a small scale show about the life of a circus troupe, their relationships and how they overcome hardships through collaboration. Entering with their caravan of hobby-horses the performers transform an empty stage into a dashing arena. 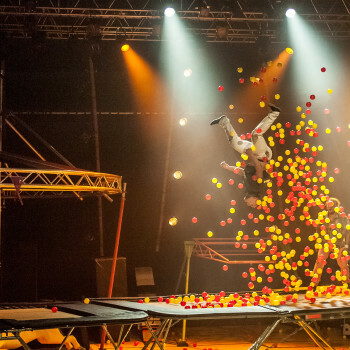 Using a myriad of equipment they perform new and old circus tricks: juggling, acrobatics, hula hooping, mime, clownery, blowing bubbles and break-dancing. 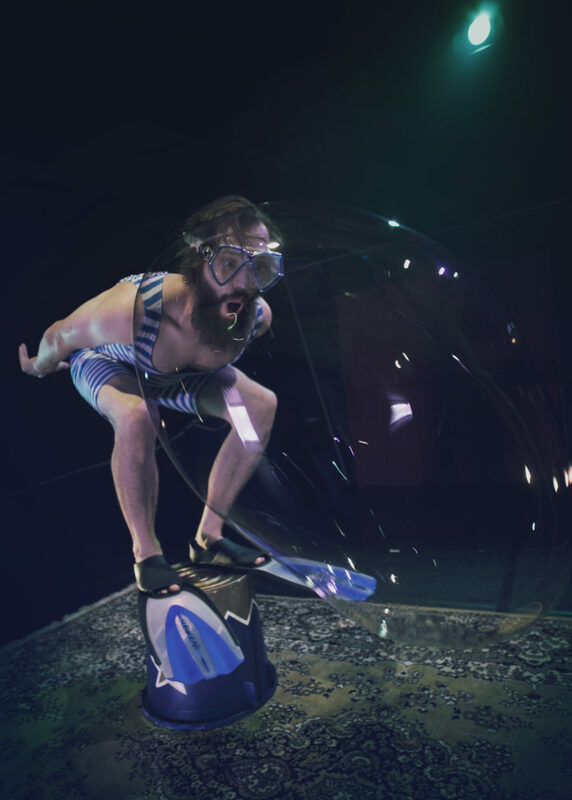 The circus equipment used in the performance are parts of the story and staging is used as performance objects. The 80’s inspired soundtrack imaginatively uses electronic music combined with traditional band instruments. A drum machine roars, buckets are banged and the vivid sound of an acoustic guitar joins the buzzing of a baritone ukulele. Around premieres in Finland in August 2016. Born in 2008 out of Petri Tuominen’s, Rauli Kosonen’s and Kalle Lehto’s need to create uncompromising, personal and a completely new kind of contemporary circus, Race Horse Company’s rough-and-ready performances are based on the aesthetics of chaos, humour and surprise. 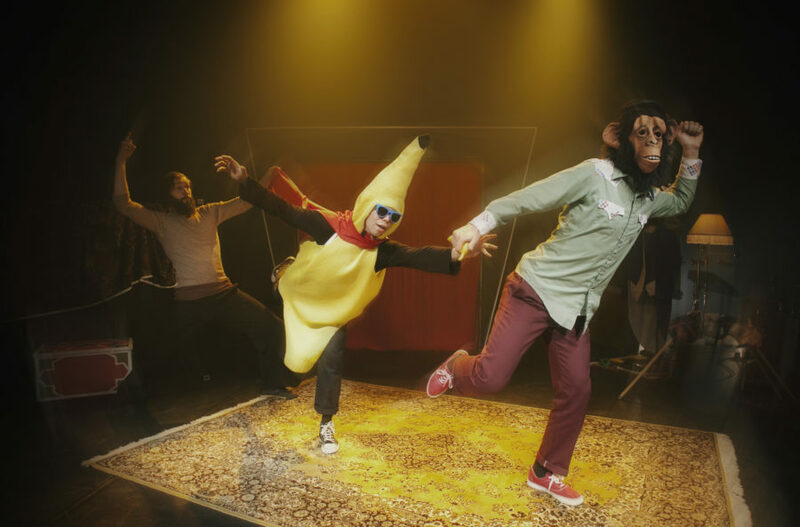 The company approaches circus unquestioningly, leaving philosophy and thinking to the audience. From the start, Race Horse Company has focused on touring, and their ultimate objective is no less than to take over the entire world. In Spring 2017, Crying Out Loud is touring Race Horse Company’s mid scale show Super Sunday and also their small scale show Around.